Indeed, it appears the church may take on a second life as means to shed light on the trans-Atlantic slave trade and the role that all early US states – North and South – played in perpetuating slavery. 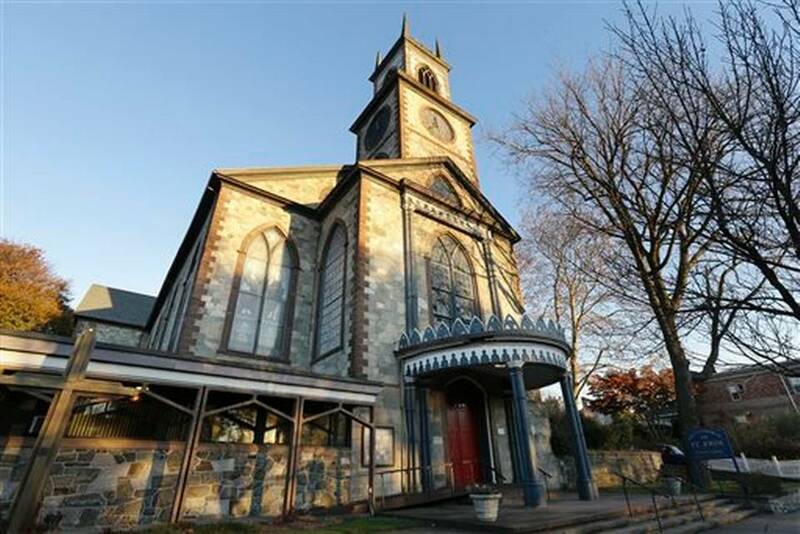 The Episcopal Diocese of Rhode Island wants to use part of the Cathedral of St. John for a museum that would examine the state’s role in the slave trade, both those who profited from it and those who opposed it. Churchgoers and clergymen were on both sides. The museum would be the only one in the nation centered on the trans-Atlantic slave trade. It would also focus on the Episcopal Church’s role in that trade’s history and the often-overlooked legacy of slavery in northern states. Ironically, the Cathedral of St. John is just a few hundred feet from both the site identified as where Roger Williams founded Providence in 1636 and the location of Williams’ home. Williams, a proponent of religious freedom, has been called the New World’s first abolitionist. Rhode Island, the nation’s smallest state, played a very large role in slavery. A Brown University report issued in 2006 found that about 60 percent of all slave-trading voyages launched from North America came from the state, more than 1,000 in all. Some 80 of those came from a single family, the DeWolfs of Bristol, RI. And now, in a random post completed unconnected to Thanksgiving – or any other celebration anywhere else on the globe – I give you a veined octopus off the coast of Indonesia creating a shelter for itself by using discarded coconut shells. I, for one, welcome our new cephalopod overlords! Given that much of the War Between the States was fought below the Mason-Dixon Line, it’s hardly surprising that much of the history associated with the conflict is found in the Southern US, whether on battlefields or in museums. Still, there are many unique war-related attractions located in the north. 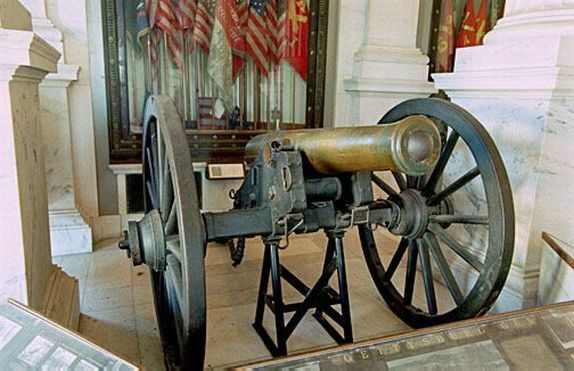 One such item is the so-called Gettysburg Gun, located in the Rhode Island Statehouse. The 12-pound Napoleon was last fired on July 3, 1863, the final day of the Battle of Gettysburg, by Battery B, 1st Regiment Rhode Island Light Artillery. The battery, which began the battle with six guns but was down to four by the third day of action, was pounded by Confederate artillery in the fighting that preceded Pickett’s Charge. During a fierce cannonade one of the 12-pound Napoleons, the cannon which would become known as the Gettysburg Gun, was struck by a Confederate shell, killing two of the Rhode Island gunners. No. 1, William Jones, had stepped to his place between the muzzle of the piece and wheel, right side, and had swabbed the gun and reversed sponge staff, which is also the rammer, and was waiting for the charge to be inserted by No. 2. Alfred G. Gardner, No. 2, had stepped to his place between the muzzle of the piece and wheel, left side, facing inward to the rear, taking the ammunition from No. 5 over the wheel. He turned slightly to the left, and was in the act of inserting the charge into the piece when a shell from one of the enemy’s guns, struck the face of the muzzle, left side of the bore and exploded. William Jones was killed instantly by being struck on the left side of his head by a fragment of the shell, which cut the top completely off. He fell with his head toward the enemy, and the sponge staff was thrown forward beyond him two or three yards. Alfred G. Gardner was struck in the left shoulder, almost tearing his arm from his body. He lived a few minutes and died shouting, ‘Glory to God! I am happy! Hallelujah!’ his sergeant and friend bending over him to receive his dying request. The sergeant of the piece, Albert A. Straight, and the remaining cannoneers tried to load the piece, and placing a charge in the muzzle of the gun. They found it impossible to ram it home. Again and again they tried to drive home the charge which proved so obstinate, but their efforts were futile. The depression on the muzzle was so great that the charge could not be forced in, and the attempt was abandoned, and as the piece cooled off the shot became firmly fixed in the bore of the gun. If there’s one thing the taxi cartel doesn’t like it’s unregulated competition. Of course, when it can cost anywhere from $250,000 to $1 million per taxi to get a piece of the pie, one can understand why cab drivers are willing to take extreme measures to protect their turf. Earlier this week, cabbies created chaos at San Francisco International Airport as hundreds of taxis honked their horns and flashed their headlights and tail lights while circling the airport between 9 p.m. and 11 p.m., with most refusing to pick up passengers. For about a half hour, between approximate 9:15 p.m. and 9:45 p.m., the slowly circling cabs created gridlock, backing up traffic on to nearby highways. The protest was in response to technology-driven ride-service startups like Uber and Lyft that use untrained drivers in personal cars, summoned by smartphone apps. Taxi operators complain that the newcomers are barely regulated, according to the San Francisco Chronicle. A coalition of San Francisco taxi drivers, pleased with the impact of the protest, have vowed to bring more disruption to San Francisco International unless the airport director agrees to discuss their concerns that the ride services are being given an unfair advantage in serving the airport. The protest was the latest skirmish in the ongoing fight between San Francisco’s taxi industry and the technology-driven ride-service startups. Taxi operators complain that the newcomers are barely regulated while the ride-service operations argue that the cab industry is a monopoly in need of a shakeup. 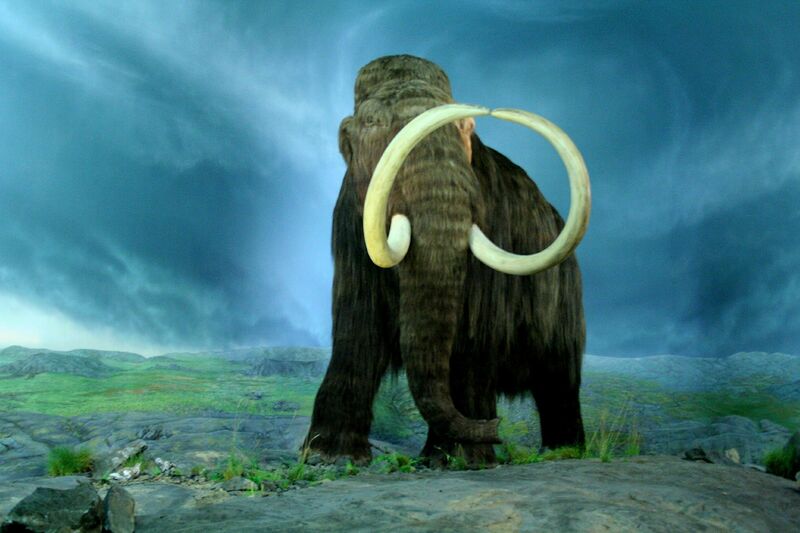 A major decline in plant diversity resulted in the extinction of the woolly mammoth, woolly rhinoceros and many other large animals following the last Ice Age, according to a new study published in the journal Nature. Relying on DNA-based research, the Centre for GeoGenetics at the Natural History Museum of Denmark has found that the flowering plants that mammoths and other large creatures depended on for survival disappeared from North American and northern Asia during the last glacial period, eliminating a major food source for the animals. Prior the that period, the landscapes of the Northern hemisphere were far more diverse and stable than today’s steppes, with megafauna like woolly rhinos and mammoths feeding on grasses and protein-rich flowering plants, or forbs. But at the height of the last Ice Age – 25,000-15,000 years ago, at a time when the climate was at its coldest and driest – a major loss of plant diversity occurred, the study’s authors wrote. As a result, the giant animals barely survived. Once the Ice Age ended about 10,000 years ago the climate warmed again. However, the protein-rich forbs did not recover to their former abundance and were replaced with different kinds of vegetation, including grasses prevalent on today’s plains and steppes. As a former journalist, I’ve had a hard time watching the newspaper industry’s continuing decline. Across the United States, papers are struggling to handle the significant drop in advertising revenue that’s taken place over the 12 years or so. None of the four daily papers I toiled at during my career are doing particularly well at present. Nowhere is that more evident than at the last paper I worked for, in Columbia, SC. When I joined the paper as a banking reporter in 1999, it had a business staff of seven, an assistant business editor and a business editor. Today, it has a business editor and approximately 1-1/2 business reporters. I say “approximately” because the two individuals assigned to write business stories will often find themselves covering non-business subjects, as well. 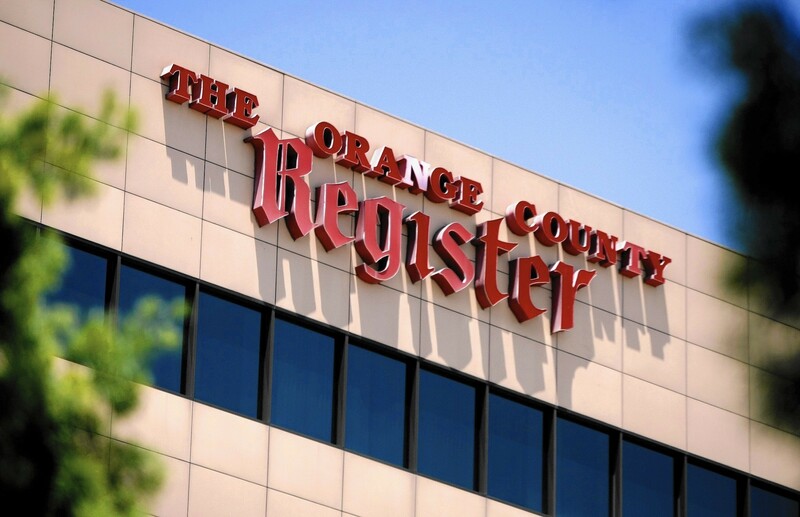 Take the Orange County Register, which this week asked its employees, including its reporters and editors, to deliver the paper’s Sunday edition over the next few weeks. The California newspaper, which has three Pulitzer Prizes to its credit and is one of California’s largest dailies, started the initiative after a switch in distributors wreaked havoc on home delivery, leaving some routes uncovered and thousands of papers undelivered, according to Slate. The Register asked employees to help deliver the Sunday edition of the paper until its carrier woes are worked out. As compensation for the task, which involves sorting and delivering 500-600 papers on a full route and can take as much as six hours to complete, employees can earn $150 in Visa gift cards. A smaller route will earn a $100 Visa gift card. 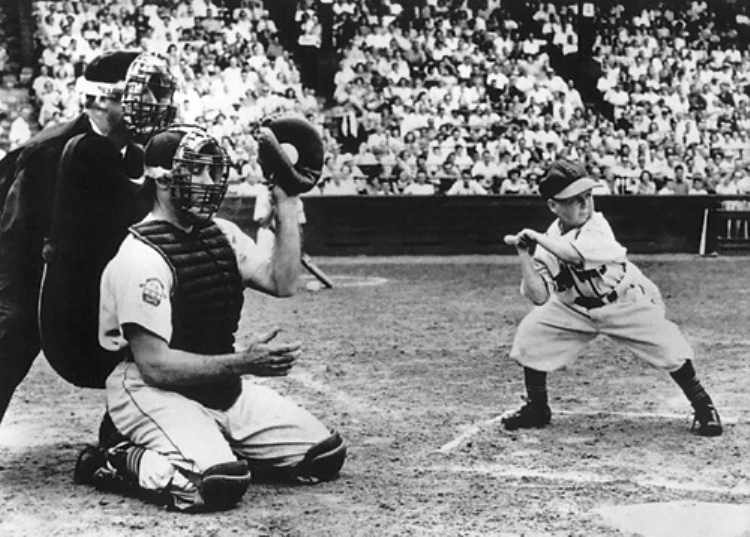 Quote of the day comes from baseball maverick Bill Veeck, who was born 100 years ago this year. Veeck, who lost part of his leg serving in World War II, loved to buck the system, a fact that often irritated the stuffed shirts who ran Major League baseball in post-war America. Putting on ill-fated Disco Demolition Night at Chicago’s Comiskey Park, precipitating a riot. Veeck died in 1986; five years later the powers that be finally got with the program and elected him into the Baseball Hall of Fame.